Located just 150 miles east of New Orleans, Mobile Bay was the site of one of the most decisive actions of the Civil War. On August 5, 1864 Admiral David Farragut led a naval assault that succeeded is sealing of this strategic southern port, which in turn played a major role in the ultimate defeat of Confederate forces. 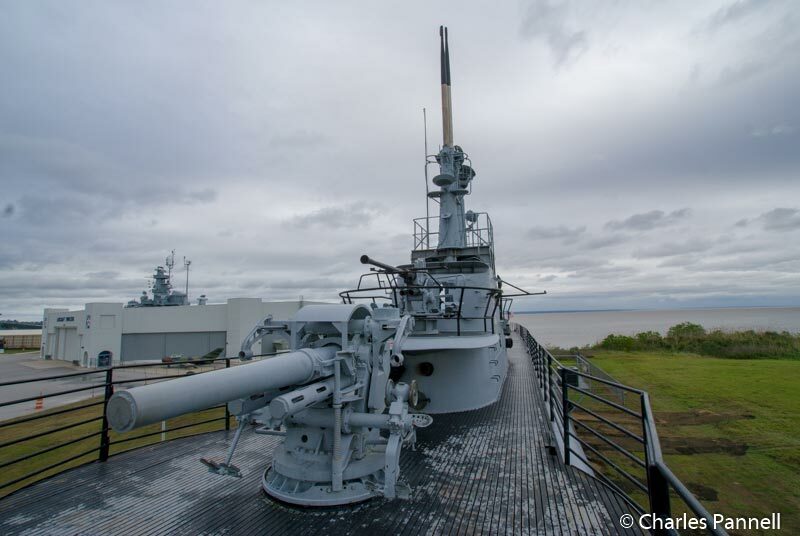 And although there’s no shortage of Civil War sites throughout the city, Battleship Memorial Park (www.ussalabama.com) — which memorializes a more recent chapter of naval history — is also worth a visit. 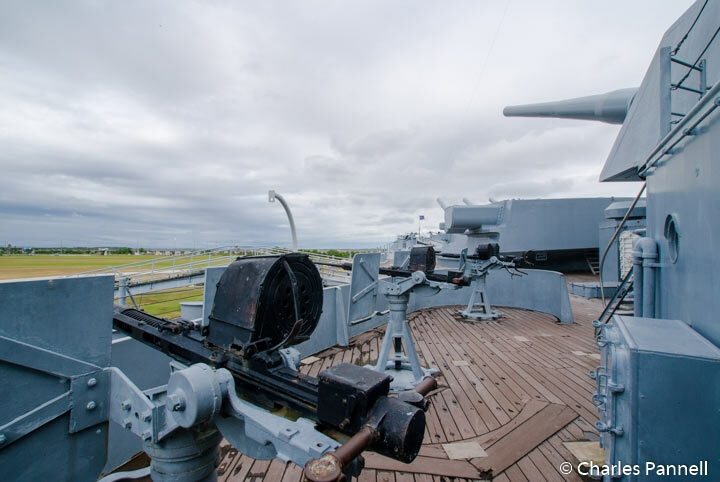 Not only is this 175-acre military park home to a historic WWII battleship and submarine, but it also houses an equally impressive military aircraft collection. 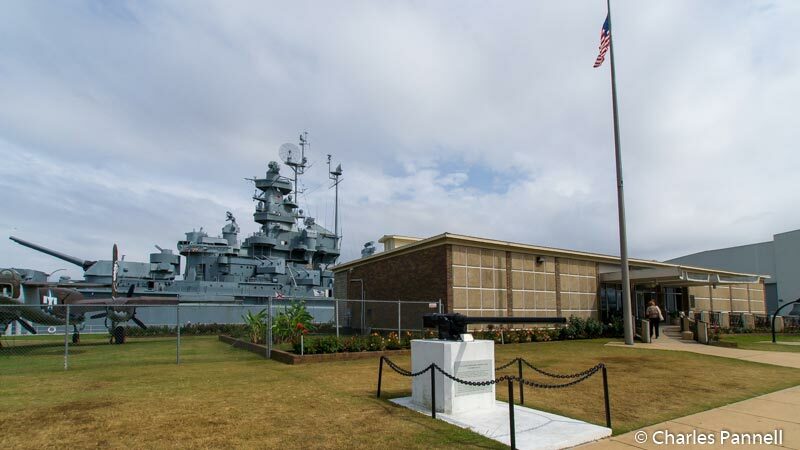 There’s plenty of accessible parking near the entrance of Battleship Memorial Park, with ramped access up to the gift shop and ticket office. There’s also a nice accessible family restroom in the gift shop, and a manual wheelchair available for loan at the ticket desk. Out back there’s a level pathway over to the USS Alabama, where you can follow a self-guided tour through the ship. Known as “The Mighty A” she carried her crew through extensive Atlantic and Pacific campaigns during WWII, without suffering any causalities or sustaining significant damage. The ramp up to the main deck is a little steep, and some manual wheelchair-users may need a hand, but it’s certainly doable for folks with power wheelchairs and scooters. 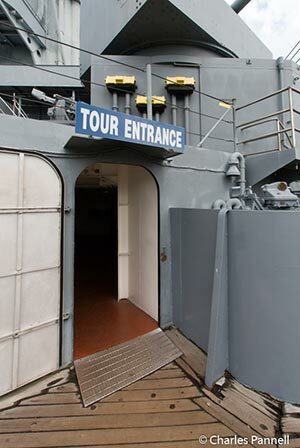 Inside, there’s good access to most of the main deck exhibit areas; however slow walkers will want be careful as there are a number of small metal plates that protrude from the deck. Don’t miss the film about the ship, as it contains comments and memories from former crew members. From the battleship, there’s an accessible pathway over to the aircraft pavilion, with barrier-free access throughout the building. This is a must-see for aircraft junkies, as the collection includes some very rare planes; including one of six existing A-12 Blackbird spy planes, one of three remaining OS2U Kingfishers and the prototype for the F/A-18 Hornet. The USS Drum submarine, which is located behind the aircraft pavilion, is also worth a quick look. You can certainly get a nice view of her from the back lawn; however you have to be able to climb up and down ladders and stairs and be able to squeeze through some tight spaces in order to go aboard. Still she’s quite a sight to behold from outside, and it’s not often that you can get a close look at a historic piece of military equipment like this. Plus it’s the perfect way to top off your visit to Battleship Memorial Park.